A black and gold stars & stripes design circles a football and goal posts cut out, and rests on a black and gold victory "V" with star embellishments. 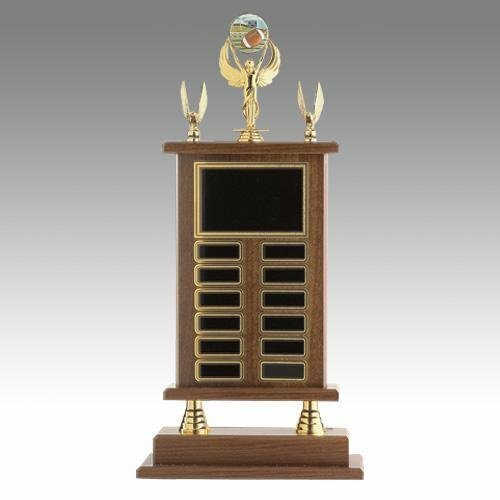 The MidNite Star football is a unique and modern figure design that adds drama to this trophy. 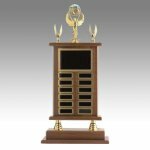 Sitting atop a red and gold column that adds a splash of brilliant color, and mounted to a white genuine marble base, this trophy offers real value in a stunning recognition of excellence on the football field.